Conserving Africa’s rich biodiversity in the face of profound socio-economic transformation is a critical challenge for the continent’s policymakers. The success of their efforts demands accessible, relevant and reliable biodiversity data. Such data underpins good policy and decision-making in the field of natural resources management and indeed, many other sectors. For example, economic policymakers require data on traded biological products like timber, food and medicine; agricultural policymakers require data on pollinators, crop diversity, and genetically modified organisms (GMOs); water policymakers require data on biological indicators and invasive alien species; and health policymakers require data on pathogens and disease vectors. The process by which species records are captured, digitized and published – to become globally discoverable, freely accessible and easily consumable – is known as biodiversity data mobilization. Whist millions of records have been mobilized in recent years, the nature of these efforts has been predominantly opportunistic, focusing on low-hanging fruits that can be readily published, rather than data of strategic importance to research, policy and decision-making. As such, insufficient data continues to constrain important policy areas. inform the development of academic curriculum. 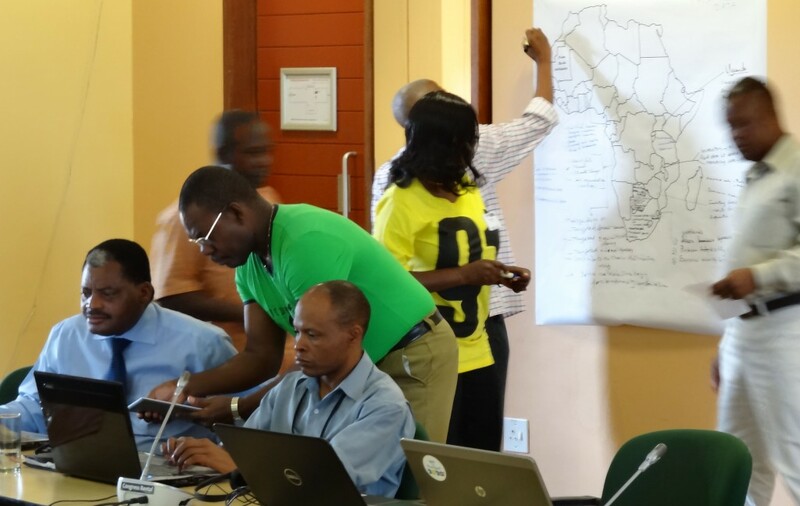 This 26 month project built upon the substantial groundwork laid by the Global Biodiversity Information Facility (GBIF) Africa Regional Group. The following materials constitute key outputs of the project.